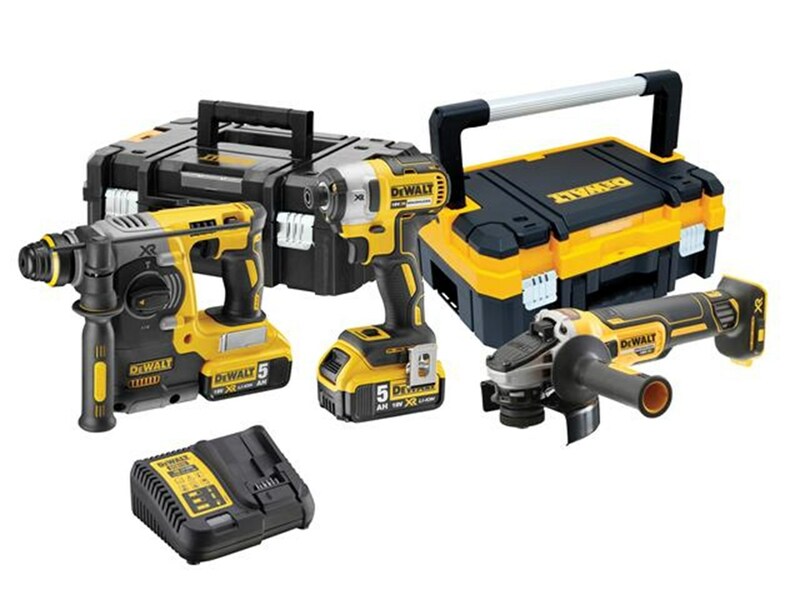 The DeWalt DCK305P2T 18v 2×5.0Ah Li-ion SDSPlus Drill/Driver/Grinder 3pc Kit features the DCH273 SDS+ Plus Hammer Drill, the DCF887 Impact Driver and the DCG405 Angle Grinder in a TSTAK 1 and 2 case. 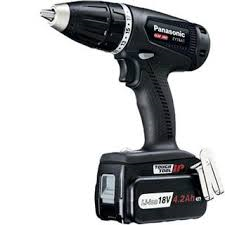 The DCH273 SDS+ Plus Hammer Drill provides up to 1200 rpm and 4500 bpm. Making it ideal for drilling into concrete, brick and masonry. 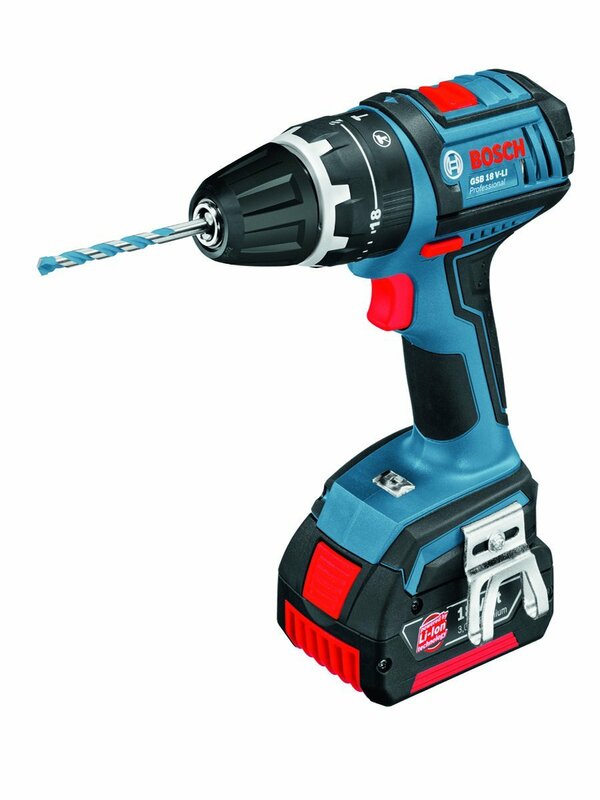 The drill also includes a rotation stop mode for lighter drilling into plaster, tiles, etc. 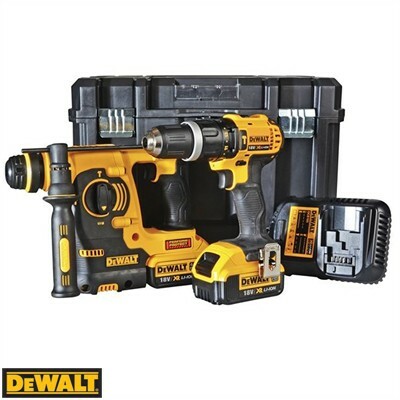 The DCF887 Impact Driver features a brushless motor for longer life and greater efficiency while maintaining power for both light and heavy use. the 3 mode selector gives a variety of speeds depends on what the user needs and the new ‘Drop and Load’ bit holder makes changing bits quick and effortless. The DCG405 Angle Grinder also features a brushless motor and has a slim, ergonomic body making working with it for long periods easier. 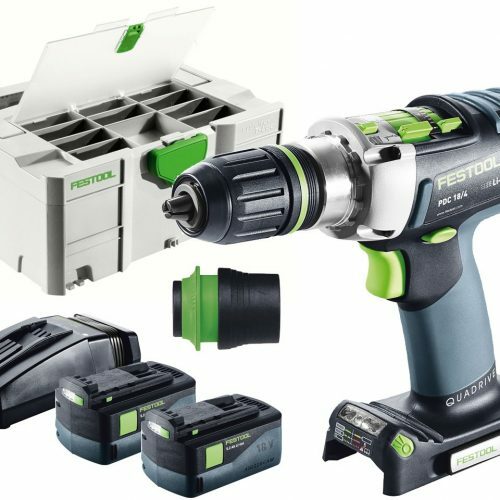 The side mounted switch has built-in rester protection where a no-volt release system resets the switch in the event that the battery becomes depleted or detached while the grinder is in operation.